If you’ve ever driven between Cordele and Americus via Lake Blackshear you’ve probably noticed this eclectic structure, built to look like an old river boat. 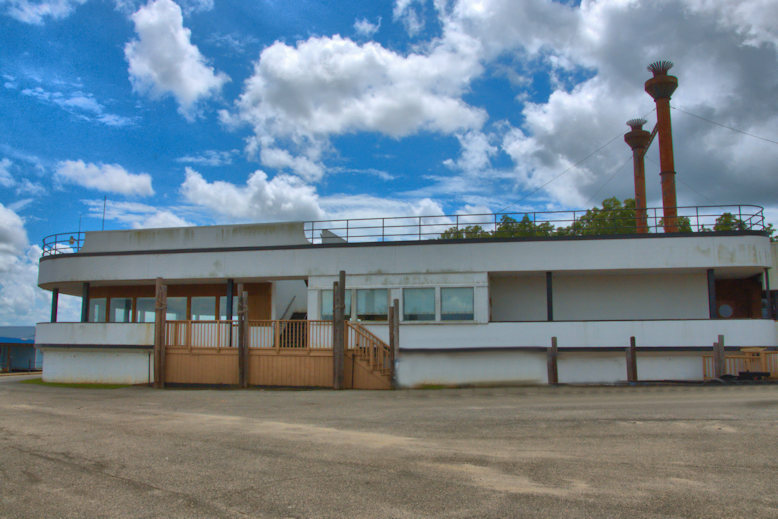 It was a popular restaurant/nightclub known as the Anchored Flint and is still in use today as a banquet facility at Lakeshore Marine on the Sumter County side of the lake. The “flint” in Anchored Flint refers to the Flint River, from which Lake Blackshear was created. Thanks to Lydia Cook for the identification. played a christmas party there in the eighties. I remember eating there back in the ’60s or ’70s. They had good catfish, if I remember right.